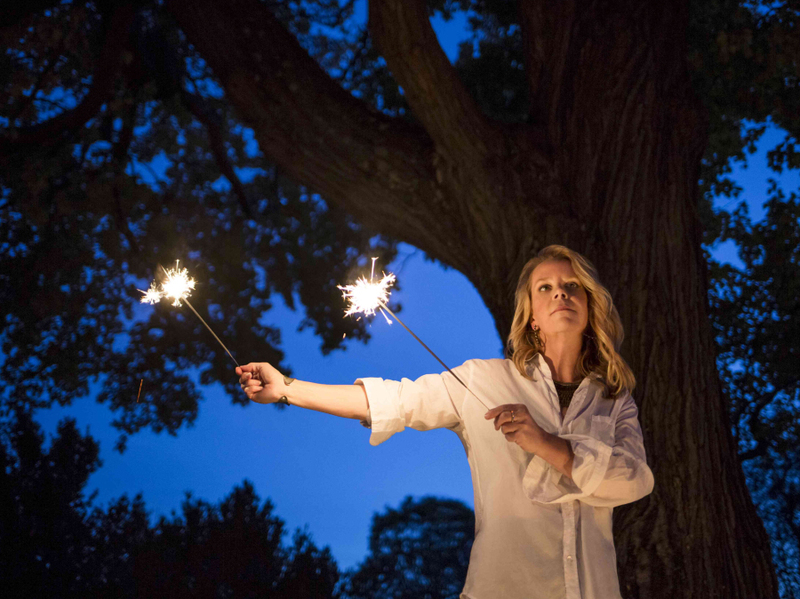 Maps and well-traveled routes pop up often in Mary Chapin Carpenter‘s 14th full-length album. They do all their usual things — trace her memories, map her heart, lead her home — but most importantly they’re incomplete. If The Things That We Are Made Of sees the country veteran searching for memories to inscribe and old roads to rut, it finds her most often looking toward the unknown with grace and breaking fecund ground with top producer Dave Cobb. The Things That We Are Made Of is surprising, even for a singer-songwriter of Carpenter’s standing. From the Music Row sheen and twang of her ’90s output to her time in adult-contemporary purgatory, she’s seen the sun rise and set on several country sounds. Carpenter’s work with Cobb situates her squarely in the latest: the unassuming Americana that must run in the pipes beneath Cobb’s Low Country Sound studio. The producer’s strongest work lies in stripping Carpenter’s arrangements back from the orchestral turn she took on Songs From The Movie and filling the space once occupied by compressed Telecasters with the cavernous electrics, subtle atmospherics and dry, woody acoustics of the Sturgill/Isbell/Stapleton moment. Carpenter, then, has the space she needs to showcase the voice and lyrics that have sustained her since her commercial peak. Able as ever with melodies, she keeps her lines unfussy and repetitive to emphasize her words. She fills nearly every space she can with lyrics, delivered in a slow vibrato that flickers between breath and tone. The result can be overwrought at times, but most often Carpenter communicates clearly, with stirring straightforwardness that commands Cobb’s yielding production. The Things That We Are Made Of sketches a rough journey in middle age. Carpenter sings of the periods following the kind of late-in-life unmoorings — in her case, a near-death experience and a divorce — that disrupt a settled perspective. She reckons with doubt and recapitulates small memories of great importance; she pieces together a new story from bits of the old. “Deep Deep Down Heart” and “Hand On My Back” form the apex of the record’s dark night and Carpenter’s loose thread of losing her own narrative and coming to grips with uncertainty. The last three songs represent the album’s well-earned reconciliation while providing its finest moments. “The Blue Distance” finds light in an unknown where before she’d found loneliness: “In the blue distance where our lives unfurl / At the edges of the sky, the beauty of the world.” Her album plays out both sides of that classic country gesture at the unknown — darkness and latent enlightenment — and by emphasizing both, she accomplishes what sounds like a transformation. She arrives where she starts, at the title song. In the process, she makes you believe that the lucky end of the stories we tell ourselves is the ability to look through memories and find real acceptance — the things we’re made of and the strength to set off again.